A great idea for any party, or just great while watching the Game of Thrones show. The Game of Thrones beer labels easily adhere to beer bottles, or beer glasses. 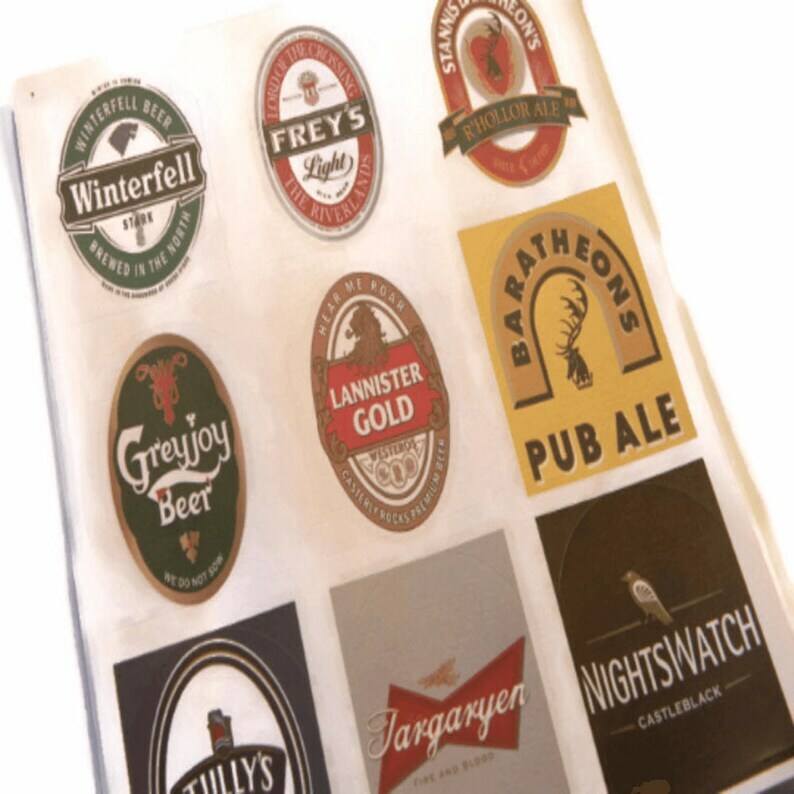 Trendycoasters truly believes that every one of our customers Game of Thrones beer label purchases will have a 100% satisfaction guarantee, or your money back within 7 business days of delivery. If you know someone who likes beer and game of thrones then these are perfect. Love! Responded quickly to questions and shipped fast! Fast shipping. Creative design. Love it!